Dudley Square in 1910. Note the square's many businesses and homes, built with the streetcar and elevated tracks of Dudley Station as their centerpiece. A growing trend in Boston today, as in many other cities worldwide, is transit-oriented development. As car ownership grows increasingly expensive, more Americans are choosing to save by living nearby and using public transit. Accordingly, many new housing and commercial developments throughout the city are being constructed adjacent to or nearby MBTA stations. The Carruth in Dorchester, completed in 2008 and located adjacent to Ashmont Station with convenient access to the Red Line and to multiple buses. While Boston is experiencing a wave of transit-oriented development (TOD), TOD is not a new theme in the city. The construction of Boston's streetcar and rapid lines in the late 19th century and early 20th century fueled the development of many of Boston's neighborhoods, likewise providing residents of these districts with convenient access to many mass-transit options. As they do today, Boston's multiple transit lines intersected at various points. Areas where more lines intersected became prime locations for TOD, coming to host a plethora of living and shopping options. Just as the state of Boston transit has changed dramatically over the years, so too Boston's original transit hubs have undergone significant changes. Some, such as Dudley Square in Roxbury, continue to be vital transfer points today and are still centers of living and commerce in Boston. Others, such as Egleston Square in Roxbury, have since lost many of their transit options due to the redirection of transit routes, leading to the emergence of new hubs such as Ruggles Station on the South End-Roxbury line. 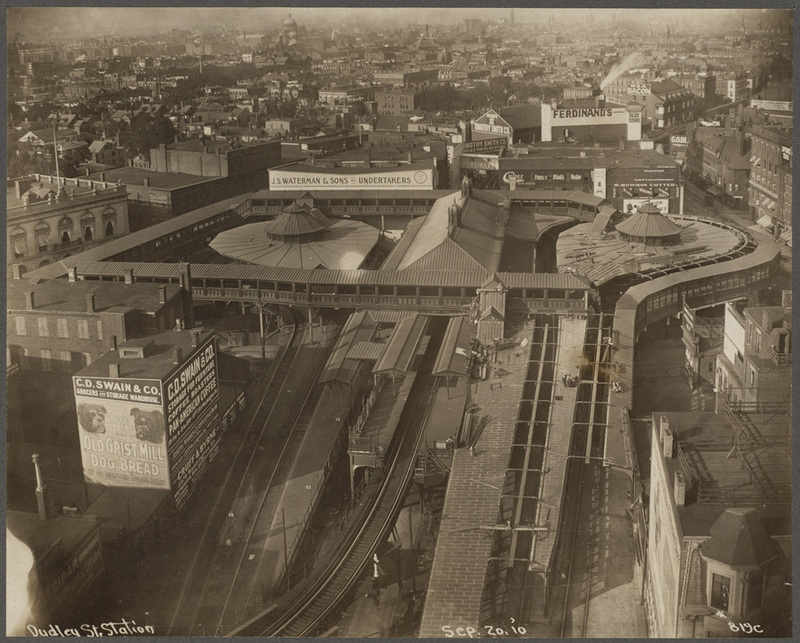 This series of articles is dedicated to exploring Boston's transit hubs as they were when streetcars and elevated trains ran along and above the city's streets. With the help of many old photos, I aim to reconstruct these centers and provide an idea of what they were once like, how they changed as Boston transit changed and what remains of them today.